The importance and visibility of the learning environment has grown in recent years as various regulatory agencies focus attention on possible deficiencies in the learning environment (LE). The LE has been associated with stress and burnout, quality improvement initiatives, and curriculum design. This session will discuss the challenges in developing a conceptual framework for the LE, current limitations in measuring the LE, and initiatives designed to improve the LE. Dr. Gruppen is Professor in the Department of Learning Health Sciences at the University of Michigan Medical School, where he directs the competency-based Master in Health Professions Education program. His research interests center around the development of expertise, knowledge and performance assessment, self-regulated learning, and educational leadership development. He has held the offices of president of the Society of Directors of Research in Medical Education and chair of the Association of American Medical College¹s (AAMC) Central Group on Educational Affairs. He was also the founding Chair of the AAMC's Medical Education Research Certificate (MERC) program. 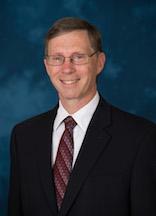 He has over 135 peer-reviewed publications on a variety of topics in medical education and has been recognized for career productivity by the Association of American Medical College's Central Group for Educational Affairs Medical Education Laureate Award, the 2015 John P. Hubbard Award from the National Board of Medical Examiners, and the Merrel Flair Award from the AAMC Group on Educational Affairs.